Hope you’re all having a good week! If I tell you about my week it’s just going to be a rant of how much I don’t like academic writing haha. I just really don’t enjoy writing assignments. I like knowing and learning stuff but I don’t like writing haha. How weird, I’m writing on the blog. But then this is more of a stream of thought writing. Ooookay I’m rambling now. Onto food! I made piyaya for the first time! Yay! I usually got the chance to eat piyaya as a kid because my grandma usually brought some home with her. She lives in Mindanao, the southern part of the Philippines. She comes to Luzon- the northern part (where I grew up) via ferry. That ferry has a stopover somewhere in Visayas (the middle part of the Phils.) where she buys piyaya. Nom nom noms. 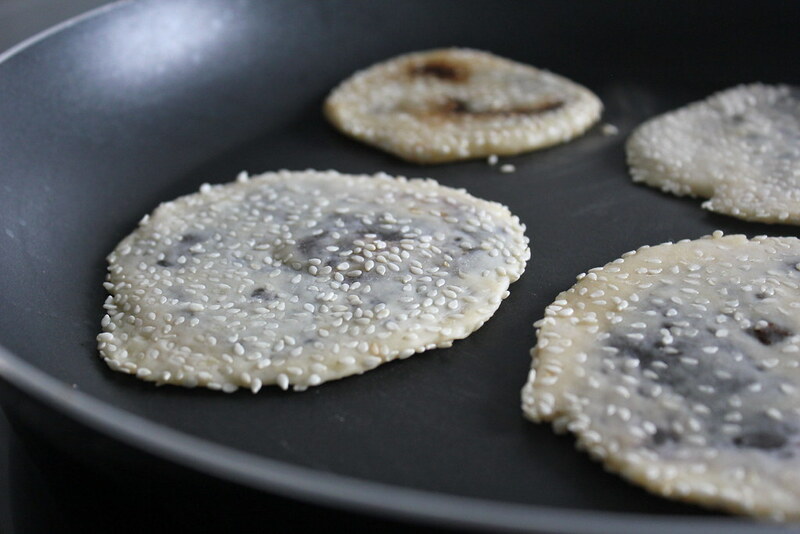 Piyaya is a delicacy originally from Negros, the sugar capital of the Philippines. 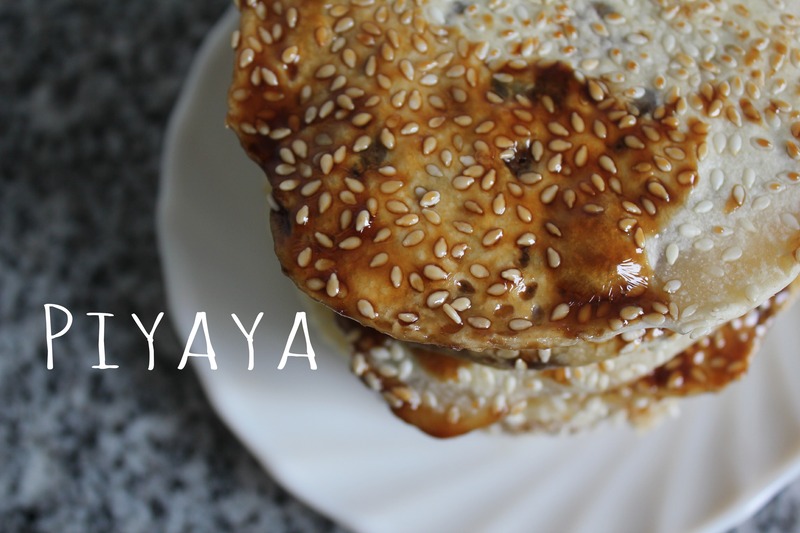 I haven’t had any piyaya for years so I was quite excited to make these. 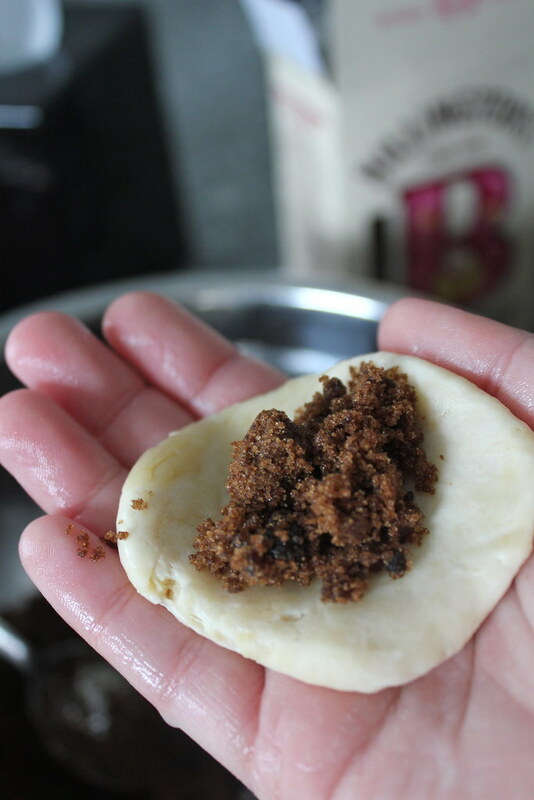 Dark muscovado sugar and honeyyyy… Simple filling but really yummy. It’ll be nice to try this next time with ube jam filling. 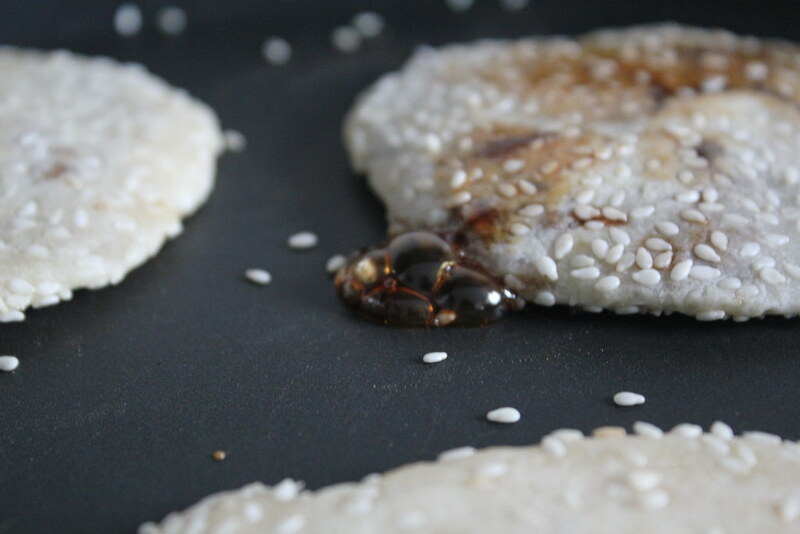 It’s okay if the sugar seeps out and bubbles into the pan like this. Though I think I overstuffed some of them a bit so a lot really escaped when I cooked them. I remember the piyaya my grandma and auntie and uncles brought. The piyayas usually get stuck to the wrapping. Hahha..Now I know why. Yay for making Filipino sweets again. Someday I really need to go around the Philippines to eat all the regional foods. For now I’m gonna travel with my tastebuds haha. This is my first time making this childhood sweet soooo I’m going to add it to add to the awesome monthly link party Our Growing Edge. This event aims to connect food bloggers and inspire us to try new things. This month’s host is MEEEEE… hahah. BTW you still have a few days to submit 😀 Then I’m gonna do the roundup early next month. Weeeeee. 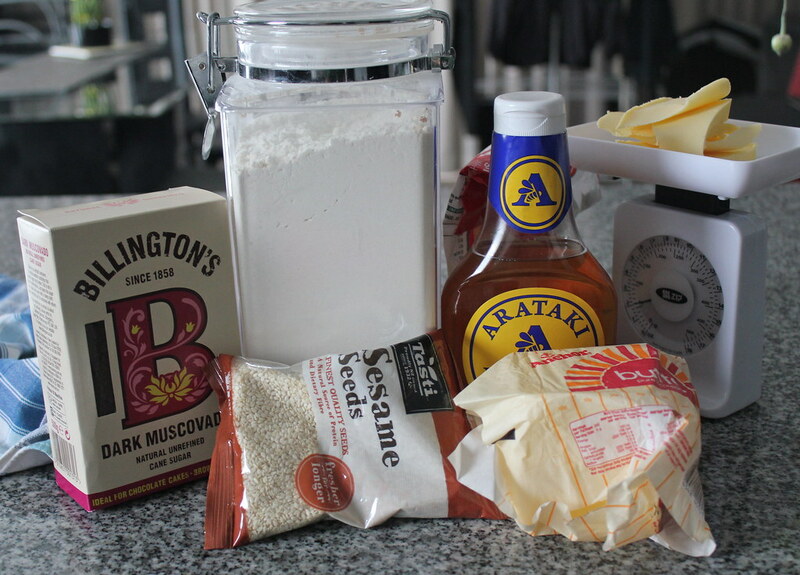 – Mix butter and sugar til crumbly. Add water and knead until soft. Divide to 18 balls. 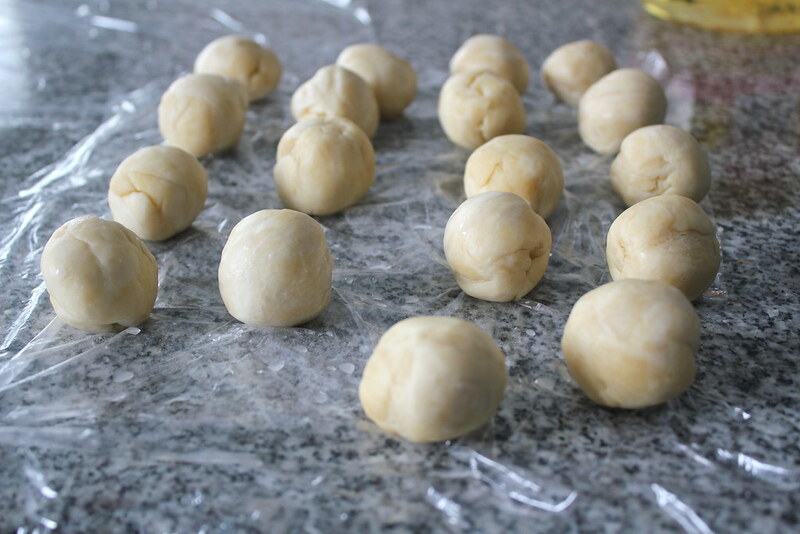 – Use a rolling pin or your hand to flatten the ball of dough to a thin circle. 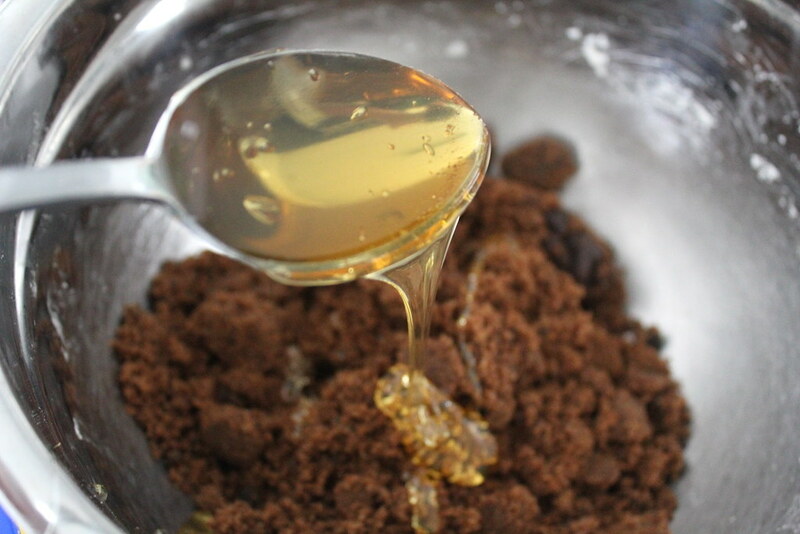 – Place a small amount of sugar-honey mix in the middle of the dough. 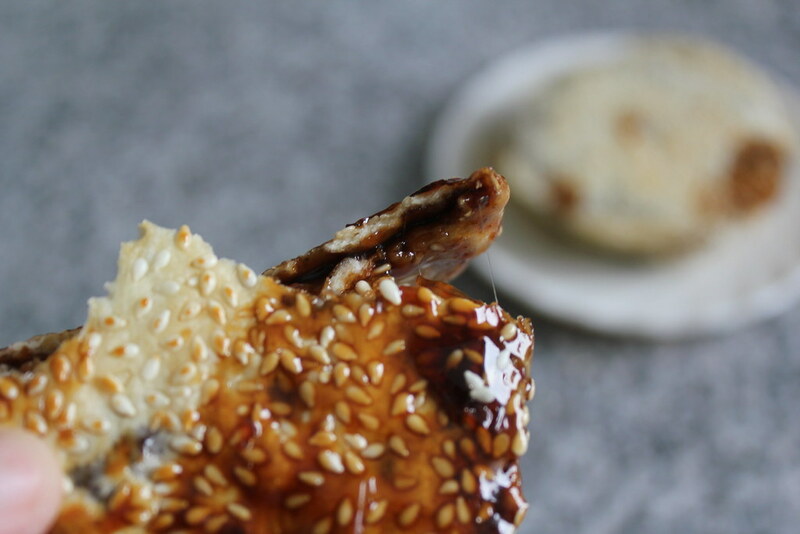 Seal the edges – like you would with a hand pie or dumpling. Then flatten a bit with your palm. 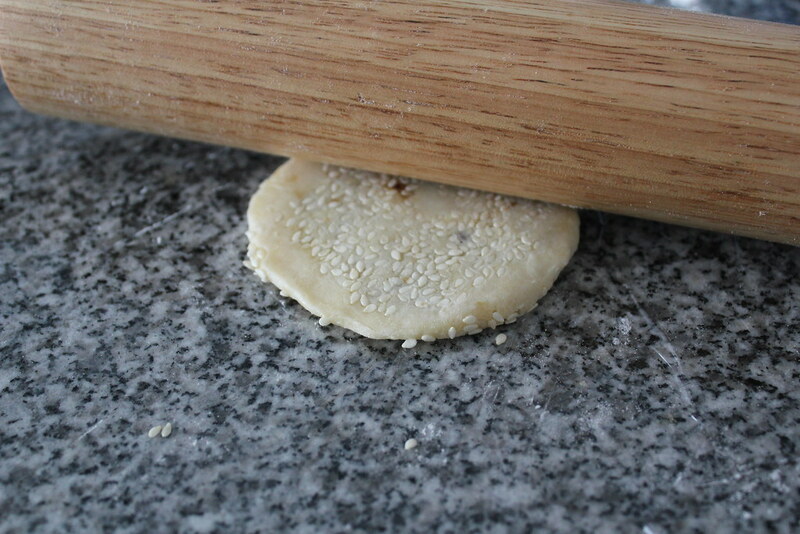 – Dunk in sesame seeds then use a rolling pin to flatten it carefully. – Heat a nonstick pan on low. 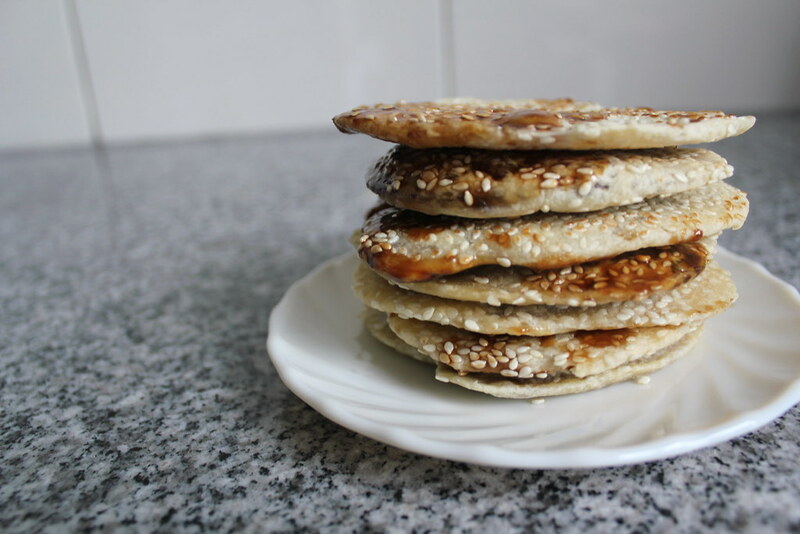 – Lightly brown one side of the piyaya then flip. Some sugar may ooze out. 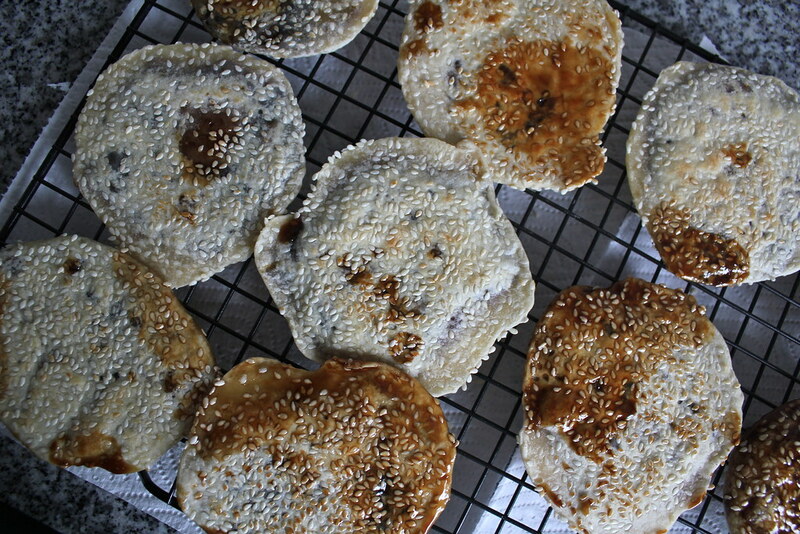 Wipe the pan to remove excess sugar and sesame seeds before proceeding with the next batch. – Cool completely on wire rack then place in ziploc bag. I love piaya! It’s from Negros, yes! Their piayas are kind of wide and thin and really sweet. They also offer other flavors now like the ube piaya. I live here in Iloilo and we have a neighbor who makes piayas but they’re smaller and more round. Lol. I’ve heard of the ube piaya but haven’t tried it yet 😀 Awesome neighbour! I’d love to live next to someone who makes Filipino sweets. – No wait..that’s not a good idea for my waistline. These look wonderful Marnelli! I’ve never had these before but the flavours sound great together. Where do you get the dark muscovado from? Can you eat Piyaya hot too? Or is it a bit dangerous with hot sugar filling? 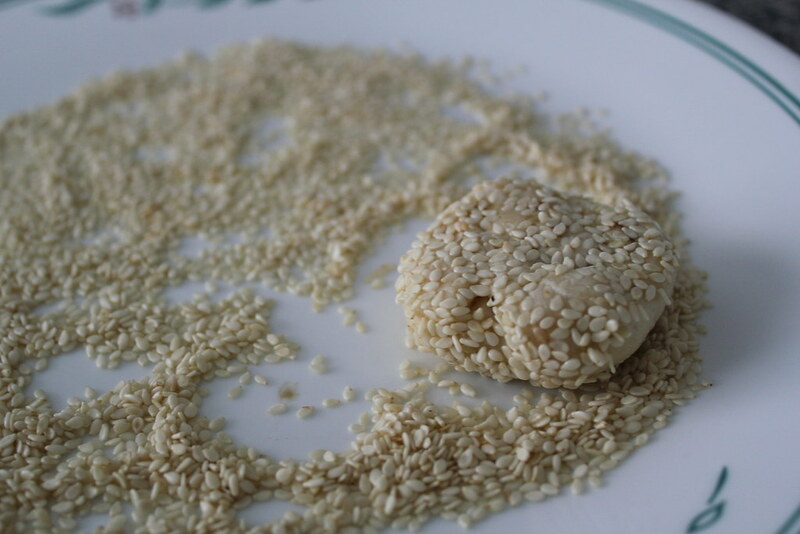 oh I like sesame balls 😀 I have to make that one next time!